Samsung devices have been the soul of many customers around the world. It has showcased its loyalty since its initiation. 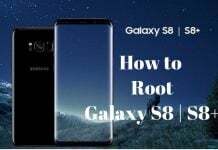 Even recently we have seen a lot of advancements in Samsung with the introduction of Galaxy A, Galaxy E, Galaxy J, Galaxy S and so on. 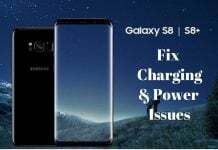 The new set of devices to come in tandem includes the Galaxy O series and as per reports the Galaxy O5 and Galaxy O7 are the first ones to be introduced under the segment. 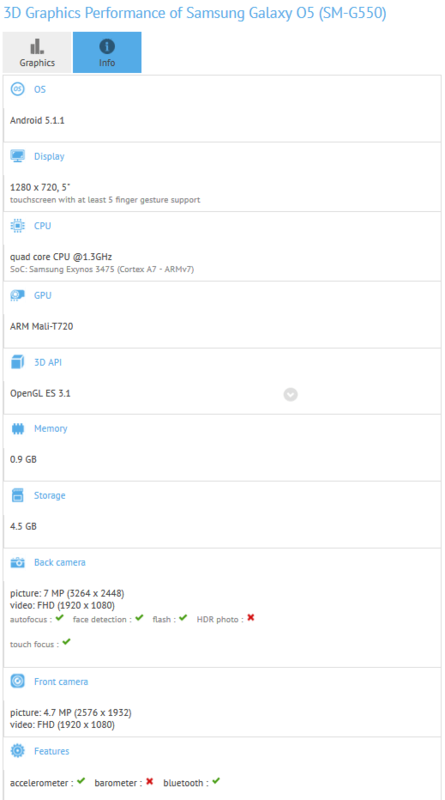 A recently listing on GFXbench has revealed the possible specifications for the Samsung Galaxy O5. It is going to bear the model number as SM-G550 as revealed by PhoneArena. The listing also reveals the name as Galaxy O5 which is again suggesting the claims. The Samsung Galaxy O series is going to be an entry level device with mid-range specifications. The screen is 5-inches with a HD resolution. It is powered by company’s own 1.3GHz quad-core Exynos 3475 processor with an ARM-Mali–T720 GPU and 1GB of RAM. The front and back cameras will stay at 5MP and 8MP respectively. When it comes to storage, the inbuilt capacity available at 8 GB with 4.5 GB for internal usage. The operating system shall include the latest Android Lollipop 5.1.1. The device though is going to be deprived of barometer, Gyroscope and NFC. There are also speculations that Oculus and Samsung could introduce a stand-alone VR headset. It has an enhanced GPU and offers better graphics in a smartphone. 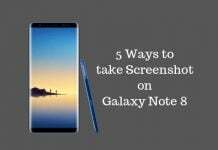 The Samsung Galaxy O5 shall be released in the near future and its surely going to add spark to the already flourishing Samsung business.